I’m a huge fan of the original British series, The Office, and still to this day it has one of the best final episodes of any TV series out there, at the very least in the top 5 in my eyes. Ricky Gervais as well is someone who tends to either do amazing or great work, and at worst might only do good work, as I’m yet to see him do anything that comes close to average let alone bad. So when we decided to head along and see this follow up movie to his most famous character to date, I was damn excited! Especially as the trailer looked like it was just as good as anything he did during his time on The Office. Having watched it though, it’s safe to say he’s lost some of the charm that he had built with the character of David Brent from that last episode of the main show. In fact it was kind of sad to see him let the character slip back into bad habits and repeating past mistakes. My biggest concern with the film though was how it beat to death the one main joke, that being the bad songs that David Brent wrote and performed. I felt maybe 4 songs would have been enough to get the idea across, and not only that, it would have opened the door for at least 2 different story arc’s that would have been so much more satisfying, and less nonsensical, then what actually happened. Instead he played 7 to 8 songs through the film and it just felt like it was a good joke driven into the ground till it wasn’t funny anymore. On top of that, the lacklustre tying up of the movie and the ’emotional’ journey of Brent, meant all up it just wasn’t nearly as good as it could have been. 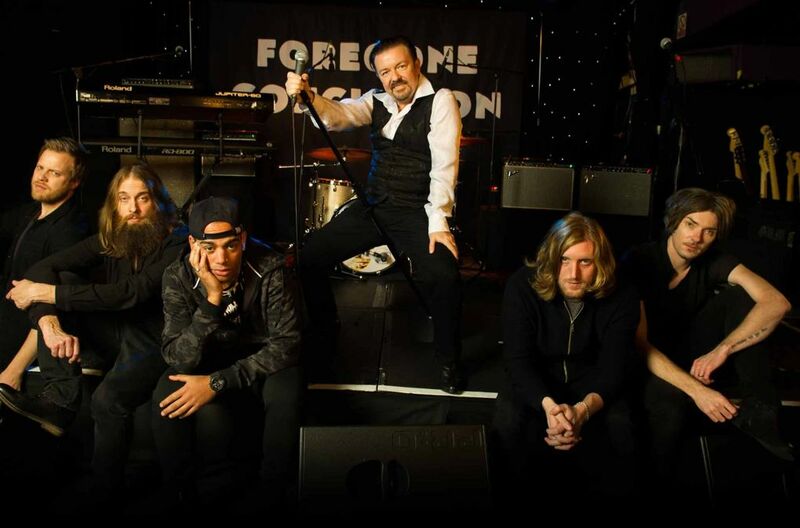 It more felt like Gervais wanted to just make a comedy album he could officially release and decided to build a movie around it. Good film, but far from great, and easily his weakest work to date. As I started reading your review, I knew there was a ‘but’ coming…this was my fear for this film (I haven’t seen it yet).